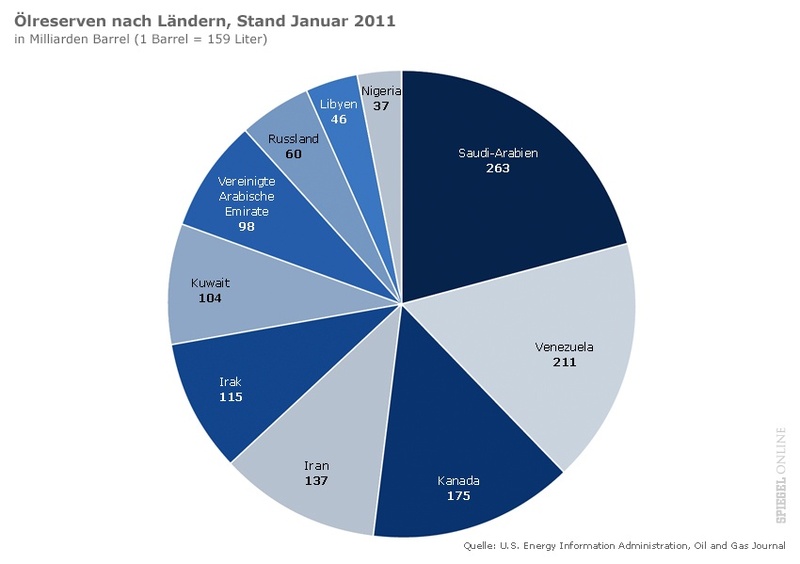 Total global oil reserves in January 2011 according to U.S. Energy Information Administration. Note that these figures say nothing about the quality of the oil concerned. Canada is third on the list but the number refers to low quality tar sand oil with a low EROI. Canada can not be seen as the world’s third oil supplier.